Capture professional-looking pictures from your smartphone with this mobile photo studio. 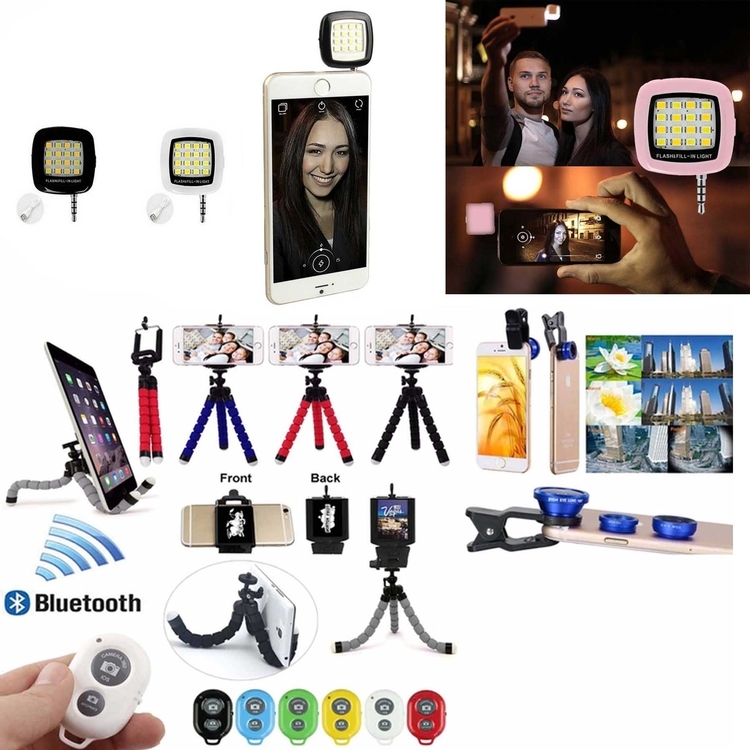 The Bluetooth remote trigger lets you get in on the pictures without setting a timer, and the petite tripod keeps your phone in an upright position for stability. This mobile photo studio comes with a tripod, photo light and three lenses for versatility. Fisheye lens: achieves maximum view angle 180 degrees. Macro lens: amazing focal distance of 15mm for incredible close-up shots. Wide angle lens: suitable for taking pictures of large range scenery.